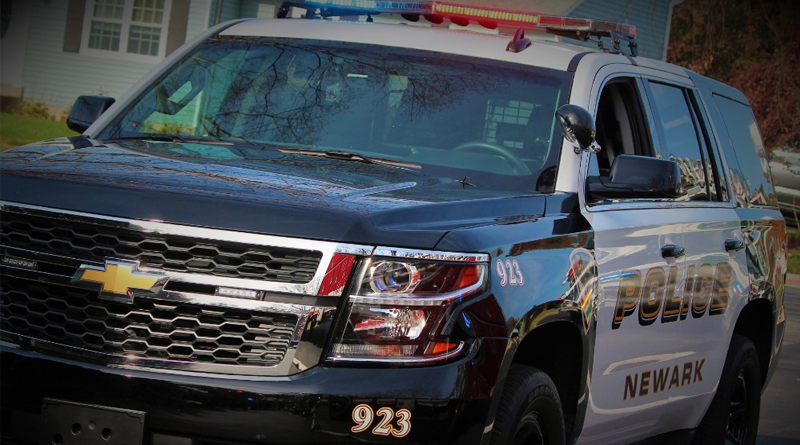 In late 2018, Newark Police began to receive reports of burglaries to residences along the Pomeroy Trail area of Newark. The residences involved belong mostly to University of Delaware students who were away during the winter break. Residents reported that unknown suspect(s) had entered their residences and removed property from within. In some cases, entry to the residences was gained by damaging doors and/or windows, according to police. In other cases, there was no forced entry into the residences. In one case, on December 22, 2018, a resident observed a suspect in his residence armed with a gun. Through this investigation, the gun was determined to be a BB gun. Upon receipt of these reports, Newark Police Detectives began to investigate the crimes. Using witness statements, surveillance cameras and covert surveillance by plainclothes officers, Newark Police were able to identify three suspects in these incidents. On February 1, 2019, Detectives executed search warrants at the residences of all three suspects and located evidence connecting them to the crimes. All three suspects were taken into custody the same day and transported to Newark Police headquarters. Each suspect had various involvement in one, some or all of the burglaries as detailed below, according to police. Male 1 was charged with three (3) offenses: one (1) count each of Burglary 2nd Degree, Conspiracy 2nd Degree and Theft Under $1,500. He appeared before Justice of the Peace Court #11 in New Castle and was released on $9,750 unsecured bond. Male 2 was charged with thirty-seven (37) offenses: ten (10) counts of Burglary 2nd Degree, one (1) count of Attempted Burglary 2nd Degree, eight (8) counts of Conspiracy 2nd Degree, fourteen (14) counts of Theft Under $1,500 and four (4) counts of Criminal Mischief. He appeared before Justice of the Peace Court #11 in New Castle and was released on $75,000 unsecured bond. Male 3 was charged with fifty-seven (57) offenses: sixteen (16) counts of Burglary 2nd Degree, one (1) count of Attempted Burglary 2nd Degree, ten (10) counts of Conspiracy 2nd Degree, twenty-three (23) counts of Theft Under $1,500 and seven (7) counts of Criminal Mischief. He appeared before Justice of the Peace Court #11 in New Castle and was ordered held in default of $117,200 secured bond. He was committed to the New Castle County Detention Center. This six-week investigation cleared sixteen (16) burglaries and one (1) attempted burglary. The burglaries occurred on Choate Street, North Chapel Street, East Cleveland Avenue, Prospect Avenue, Wilbur Street, Kershaw Street and North College Avenue. Anyone who may have additional information about these incidents is asked to contact Det. W. Anderson at (302) 366-7100 x. 3469 or wanderson@newark.de.us.